To serve and prepare quality food of the freshest ingredients purchased from local vendors. To have a strong commitment to excellence. To serve our customers with trust, integrity, innovation, exceptional service and professional enthusiasm. To provide each client with an unique experience. "We listen to our customers. We interpret their needs. We create memorable events." 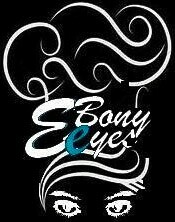 Ebony Eyes Soul Food was founded in Southwest Houston in 2006. Ebony Eyes Soul Food is a family-owned and operated catering establishment with over 30 years of food service experience and a life-long passion for great food. Our team is delighted to serve you. When choosing Ebony Eyes Soul Food you will be working with a trusted business partner capable of delivering quality service, again and again. We understand that every event makes an important statement about you or your company, so we work hard to provide our clients with a unique experience and 5-Star service. So whether you are planning a high-profile boardroom lunch, a holiday party or rehearsal dinner, we are at your service. We look forward to hearing, planning and bringing your vision to life with you. We serve corporate clients, non-profit groups, schools and government agencies as well as individuals.We handle events of all sizes: from 2 to 5,000. We stage and cater events at indoor and outdoor venues throughout Houston and the surrounding areas. We stage and cater events anywhere from company break rooms to parking lots to private backyards. We will make an event as “turnkey” as the client wishes.